Created in the spirit of the great small towns and villages along Louisiana rivers and bayous, Teche Ridge is a traditional neighborhood development offering a wide variety of thoughtfully designed residential and commercial properties in an environmentally responsible way. It’s a smart way to grow; it’s a smart way to live. A variety of superbly constructed homes reflecting French Acadian, Creole, Caribbean and Victorian styles. Environmentally responsible approach and design. An array of housing types, civic uses and commercial space. Streets designed to human scale to promote walkability. Parks and green space for enhanced visual interest and to promote neighborhood interaction. 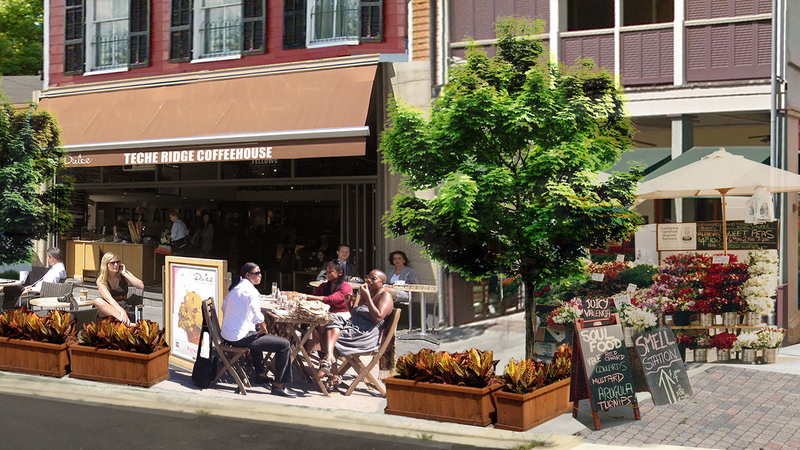 A neighborhood with walkable access shops, businesses and restaurants.